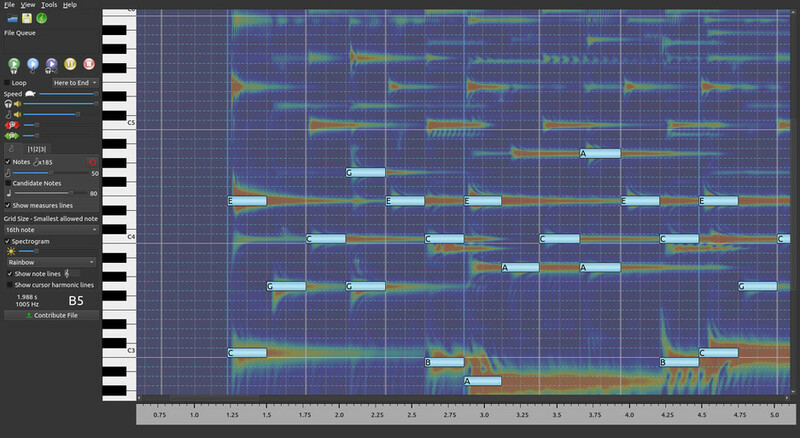 AnthemScore is a program that automatically creates sheet music from audio (MP3, WAV, etc.). It uses a neural network trained on millions of data samples to achieve a relatively high level of accuracy. 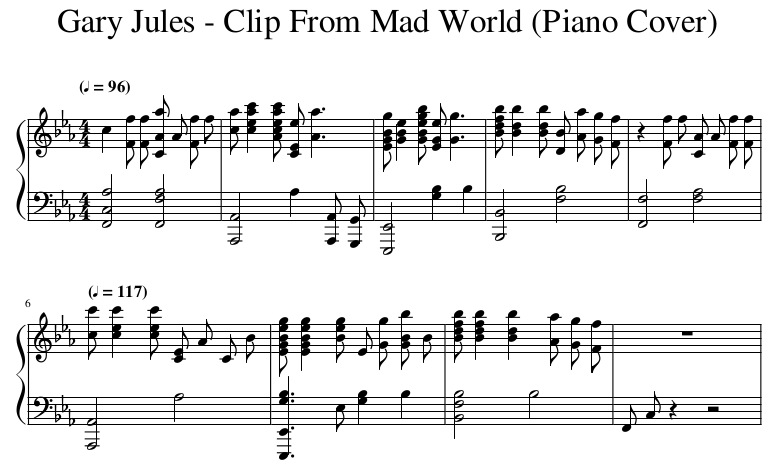 It can also help you convert songs to MIDI or format MIDI files into sheet music. You can edit notes with one click by right-clicking anywhere in the display. Potentially missed notes are shown to make transcription fast, even when the algorithm makes mistakes. When done, save as PDF, MIDI, or musicXML. Features include playback at a slower tempo, transposing, setting the lowest and highest note, choosing clefs, and linking to an external sheet music editor. Currently, no instrument information is extracted, so notes from all instruments get combined into one part. It usually takes 3-5 minutes to process one song, depending on the number of processors your computer has. Read more about the features here. Here are a few examples of music automatically transcribed with AnthemScore. The accuracy depends on the complexity of the song and the instruments used. You can generally expect the best results from piano pieces. Most of the notes here are correct. Song clip courtesy of Francesco Parrino. In this clip it's able to capture large piano chords. Major tempo changes are marked, but sometimes occur in arbitrary places. Song clip from Frank Tedesco's arrangement. This is a challenging song with full orchestra and few of the notes here are correct. 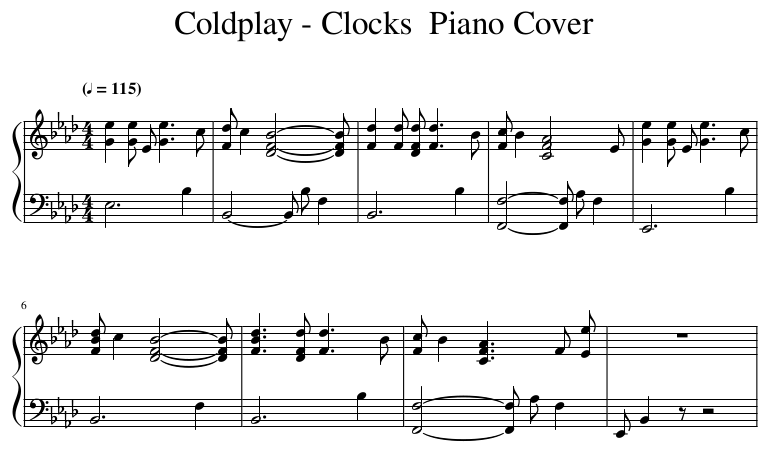 One or two instrument pieces like piano covers are generally more accurate.